Let me just start by saying that once upon a time…I hated this film. The first time I ever saw Watchmen, the only good thing about it was Rorschach, but how silly was I? This movie is fantastic, number 3 on my list of favourite films ever made. At first glance, one may have the impression of ‘just another superhero movie’, but on the contrary, well, that just isn’t right! If you’ve stumbled upon this film, you’ve stumbled on one of the greatest gold mines of film history. First credited as ‘unfilmable’ by much of Hollywood, Watchmen director, Zack Snyder (Dawn of the Dead (2004), 300, Sucker Punch), proved Hollywood INCORRECT!!! Unregrettably casting Jackie Earle Haley, Matthew Goode, Billy Crudup, Patrick Wilson, Jeffrey Dean Morgan and Malin Akerman as leading roles, together, Snyder and the crew created a film unlike any other, all the while sticking close to the source material, a graphic novel of the same name by Alan Moore (who unfortunately hates Hollywood for butchering his other graphic novels, with the exception of V for Vendetta). The film begins with a grim, unforgettable scene: the death of Edward Blake aka The Comedian (Jeffrey Dean Morgan), as he is ruthlessly beaten and thrown out a window. During this scene, the audience is revealed to the news that a nuclear war may break out. 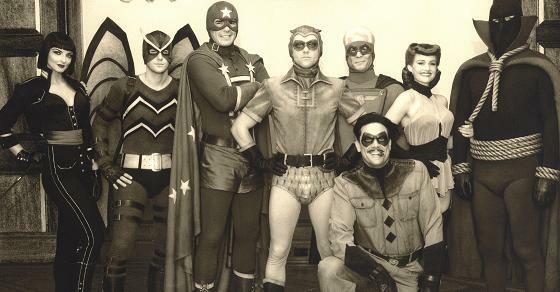 Following this begin the credits which run for roughly six minutes, but never fear, they have meaning as they tell a story of their own – the one of the Minutemen as their fame passes and the new generation of vigilantes begin: the Watchmen. We’re introduced to Rorschach aka Walter Kovacs (Jackie Earle Haley), a masked vigilante who acts as the narrator of the story and investigator of the death of The Comedian. He regularly voices over as he reads his journal entries leading up to the final point on the movie. Rorschach, paranoid that a killer is picking off masked heroes, decides to inform his friend, Dan Dreiberg aka Nite Owl II (Patrick Wilson) of The Comedian’s death. Failing to get through to Dan, Rorschach informs Jon Osterman aka Dr Manhattan (Billy Crudup) and Laurie Juspeczyk aka Silk Spectre II (Malin Akerman) of the possible threat but is promptly booted out by the reality-warping, naked blue man. As complications arise and truths are revealed about the war, the characters’ pasts and struggles, we’re thrown into their world as everything is unraveled, right down to the last, heartbreaking minute, which I won’t reveal. The scariest thing is how realistically every single terrible thing that happens parallels our own world, and our own troubles which, as Dr Manhattan points out, are practically insignificant. It truly brings you back to the beginning, before all the events unfolded, and leaves you rather sad how the ending played out (or for me, at least). You’ll understand if you watch this wonderful movie. Aside from the obviously amazing plot, the directing done by Zack Snyder is brilliant, and though the chosen soundtrack is somewhat questionable, it doesn’t matter because it fits with the abnormality of the film itself. I highly recommend Watchmen. For me, I’m giving this 10/10. It’s safe to say that The Avengers film is one of the most anticipated films that is to be released in mere months, and, finally, a trailer has been released. If you (somehow) haven’t heard of the film, it’s an upcoming superhero film featuring characters such as Iron Man (Robert Downey Jr), Thor (Chris Hemsworth), Captain America (Chris Evans) and many, many more. Just those names alone are guaranteed to garner interest, and boy are we interested. Enough of that, here’s the trailer! Enjoy! 13 Hours of Halloween Horror Films! Anyway, this list is solely for suggestions if you have nothing better to do than watch 13 straight hours of horror movies, plus a few extra films just in case! Enough verbal diarrhoea, here’s the list, enjoy! Note: Where it says TIME, this is, of course, a rough guideline to help with planning when you’ll start or end. To begin this horror marathon, why not sit down to a bit of slasher-time with Michael Myers? This is, of course, the original film, as in the film directed by the ever-so-amazing John Carpenter. 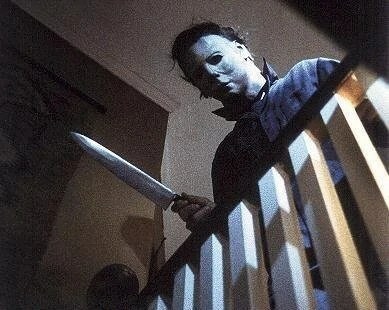 The film follows the tactical chaos caused by the previously institutionalised Myers as he releases a bloody havoc on Halloween after escaping just a day earlier. That’s right, he escaped from the institute, need I say more? Escapees are never good news, and sadly, this film doesn’t bring any extra in that sense. Upon exposing yourself to the wild world of psychotic murder rampages, however, you will undoubtedly be satisfied by this masterpiece. Alternatively, if this old, ‘outdated’ film doesn’t tickle your fancy, the 2007 remake of the same name just might (run time 110 minutes, directed by Rob Zombie). The second film in the list to watch is The Descent, directed by Neil Marshall. Now, you may think ‘wow, a film about losers going into a cave and getting killed by mutated losers…sounds boring,’ but let me tell you, that is anything but true. This wonderfully crafted movie takes you on a journey of blood-splattering goodness and one by one, people are taken down by what are known as ‘Crawlers’, savage beasties who live in an underground cave with an appetite for your flesh. Sound familiar? Yeah? Well it probably does because it sounds like a lot of other horror films…except this proves to be one of the best. 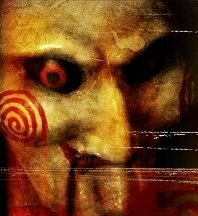 Saw is probably the best torture film ever to grace the big screen (and soon, YOUR screen! ), with a gory plot and a strange twist at the end. To be honest it is far better than the scarringly horrific movie, Hostel, which you should in fact NOT watch…alright, alright, watch it if you want to. Anyway, enjoy this spectacular movie. Ah, it’s time to lighten up a bit and watch a fantastic comedy horror, Shaun of the Dead, starring Simon Pegg and directed by Edgar Wright. This slice of drool-worthy goodness is a hilarious take on a zombie apocalypse as the main characters attempt to survive in a bar while unfortunate after unfortunate events occur. I know, I know, many times comedy and horror do NOT mix…but it just so happens that this does, it works perfectly. O my, o my, o my, what a different horror movie indeed! 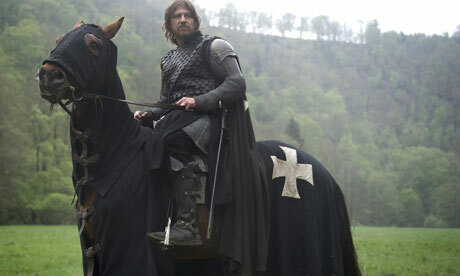 Black Death, let me tell you, is not like other slasher films. In fact, you can hardly call it that at all. What, you say? A horror movie with character development? Characters you can care about? What, you say? A horror movie that doesn’t outright barge into violent death scenes? Let me tell you my fellow horror fanatics, this film is a VERY interesting movie indeed, what with its intriguing plot and believable characters, as well, of course, as its fair share of gore and mayhem. I suppose it can somewhat be called an ‘adventure’ film, though there’s not too much adventuring as there is trying to escape from the adventure. 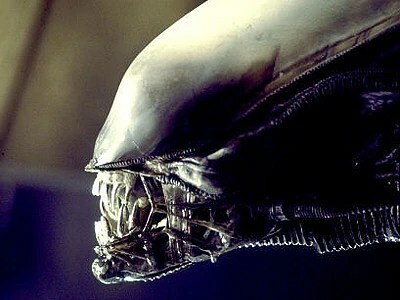 We have all heard of Alien, directed by the brilliant director, Ridley Scott. Now if you haven’t watched this, then now’s the chance to see badass xenomorphic aliens killing people, and to watch Sigourney Weaver (as Ellen Ripley) dominate the screen as she rolls her eyes at her almost skeletal foes. That’s right, Pan’s Labyrinth is on this list. That’s because it is technically a horror, just mixed with other things to create an absolutely sensational movie. Be warned, it’s in Spanish, so you may have to use English subtitles, but to be honest, I couldn’t imagine it being filmed in English. I don’t know, the language it’s in seems just…right. Let me explain what happens: a girl caught up in a post-war scenario discovers she’s actually a born-again princess in another world and must complete tasks to prove she hasn’t become fully mortal. Alright, I’m making it sound lame. It’s anything but lame, folks. It’s a completely grown-up type movie, with a serious feel to it…an ‘adult fairy tale’ as some describe it, and rightfully so. You’re not bombarded with pointless deaths or over-the-top fantasy, it’s all balanced out perfectly. You’ll see. This must be one of the most cleverly constructed horrors I have ever watched, as you’ll find out – everything fits together in the end. It’s an absolutely wonderful way to finish Halloween, and if there was just one movie you could watch on that spectacular night, it should be Trick ‘r Treat, a horribly underrated piece of work. Need some more film suggestions? So, folks, I hope you have a great Halloween and really enjoy yourselves! P.S. Leave a comment as to what you’re going to be this Halloween! As this is my first post on here, I decided to post something that I would personally hold close to my heart, thus choosing to post the trailer for the upcoming film, The Raven, which is set to be released in 2012 and stars John Cusack, Luke Evans and Alice Eve along with many others. The film is directed by V for Vendetta director, James McTeigue (yay! ), and shows Edgar Allan Poe and his investigation of a string of murders which are all associated with his (fantastic) pieces of literature. Any fan of V for Vendetta should be excited about McTeigue’s little project, I definitely know I am! I have, however, heard many a complaint from unsatisfied trailer-watchers, who have already dished out who they think is the killer. They’ve also complained about how awful the trailer actually is, but really people, that’s all up to an individual’s perspective and whatnot. I will be waiting eagerly for its release, you can count on that.